You are in: All categories > Books > Rock > Various. Chasing Shadows is the story of an obsessed fan’s one man quest to find the original Deep Purple singer Rod Evans. 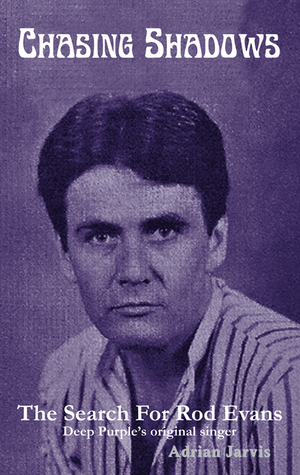 Evans dropped off the radar in 1980 following a legal case that buried him with a debt in excess of half a million dollars. Just like the mysteries surrounding the late Pink Floyd’s Syd Barrett and the Manic Street Preachers’ Richie Edwards, nobody – literally nobody – has any idea where he is or what he has been doing. So Jarvis set himself a challenge. The hook is the solving of a puzzle: Find Rod Evans. Jarvis's search encounters stories and tales from those who knew Evans and indeed have had contact since 1980. 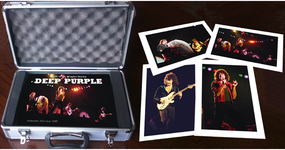 Revealing intrigue and angles surrounding the fascination Deep Purple fans have with this whole escapade. Part memoir, part piece of musical history, part piece of musical mystery. 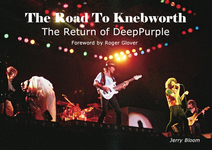 In this personal quest the author relays his encounters with fellow original Deep Purple member Nick Simper and as an obsessive fan all that that entails. Rod Evans remains the pivot throughout the book and when Deep Purple finally get accepted into the Rock and Roll Hall of Fame it sets the author off to the Induction Ceremony in New York where he may or may not meet with the Holy Grail he has sought for several years. It is also about friendship and how the people we meet influence us and share the journeys on which we embark. It is a picaresque tale, sometimes comic, sometimes moving, sometimes laced with fantasy, but it is one in which everyone – or, at any rate, everyone above a certain age – will find somewhat familiar.